I'm starting a Tartan Brigade, for the Amaris Civil War. Am I gonna use a Dragoon Battlemech as my command mech? You bet! Am I patient enough to wait for it's release? Heh, probably not. So, here's what I'm thinking. 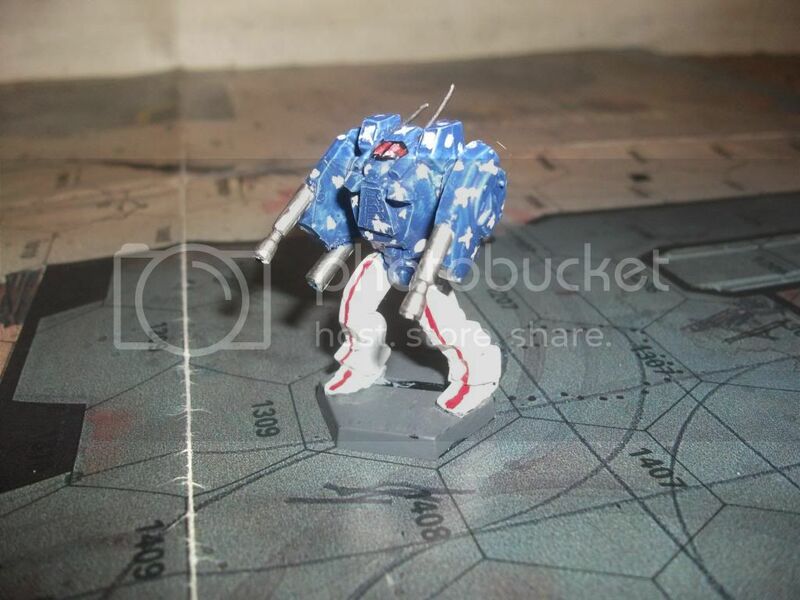 I'm going to take the body and torso of a GLH-2D Galahad, round out the top of the torso with a dremel and some love, and rebuild it with epoxy and plastic card (I'm pretty decent with a sculpting tool, mind you, though I won't be winning any awards, lol), thicken the plates on the legs, and reform the cockpit glass slightly, to match the art. Where I'm stuck is the arms, and what I could use as at least as a starter. I'm trying to find something with that nice rounded U-shape to the arm's outline, if possible, with a mind towards the primary variant. Thoughts, opinions, vitrol-laced hatred, group hugs? You've thrown us out, then fenced us in. You've called us renegades and murderers, yet you praise us for our resilience and determination. You've despised us in times of weakness and praised us when we were strong. You've alternately abandoned us to our fate and courted us when it suited your pleasure. Is it any wonder that we guard our wallets when you offer us your so-called friendship? Isn't it enough to know that we sicken at the sight of your kind? Whoa, creepy. I was literally just looking at the left arm on the Lynx on Iron Winds, and saying "Y'know, if I flipped that arm, added two barrels, greenstuffed in-between..."
Great minds, and all that jazz, huh? I know this is a bit of a diversion, but creating a mini based on the other configs might be just as interesting. The designer stated that arms are present on the other models, so that might be a place to go if you can't find a suitable "turret." I had thought of that, though it would involve me figuring out a way to create pods for SRM-4's and Medium Lasers for the AEM-04 variant. Which terrifies me, because magnets and I are not friends, and pinning would leave ugly holes in the mini. I'll have to think on this for a bit, I think. Opinions and ideas are always welcome, of course. Creating arms for the other variants are definitely doable, though. Good thing for the scrap yard options, lol. Also, gnarly to see a fellow Rim Worlds fan here. We'll be talking much more, I'm sure. Indeed! Good luck on this project! Not knocking your 'arms' thought, mind you, but I looooove the turret arms design. Been a sucker for that look since the first time I saw the Rifleman design. 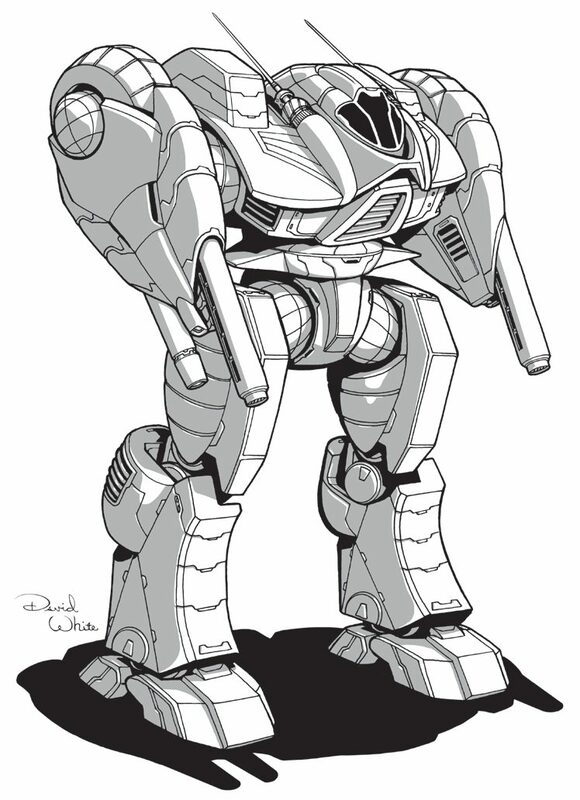 It's what drew me to the Dragoon frame, and the fact that it's a RWR design that partly modular sealed the deal for me. Yeah, the Lynx would be the way to go then. Possibly hacking the guns off of a Rifleman and inserting them? Going to look sweet! 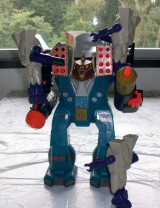 I'm actually looking at the Rifleman IIC's arms. They have some length and thickness to them, to be able to hack to the correct length, and at the same time thick enough for me to drill into the and pin them into place. The Galahad's body should be here in a few days, then I'll post up some WIP pics. Knocked one of these up for a game last year used a plastic intro box quickdraw for the chassis and some missile arms from em4 miniatures I had in my bits box. I filed the missiles off and added gun barrels the rest was green stuff. not pretty but did the job for our game. What about the arms from a CAV Kestral? A nice thought, but in the end, it would be cheaper to just but the scrapyard Lynx arms, and make press-molds with brown stuff as needed. You can buy just the arms from Reaper, it would be about $2.60+ shipping. Not sure what the Lynx arms cost would be. $1.50. Shipping won't be much of an issue, since I'm planning on picking up some other minis at the same time. very nice, reminds me of the Ghost Bear mech, the Bruin. 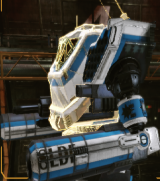 "If every mech was built like in MWO, we'd all be carrying ammo in our feet..."